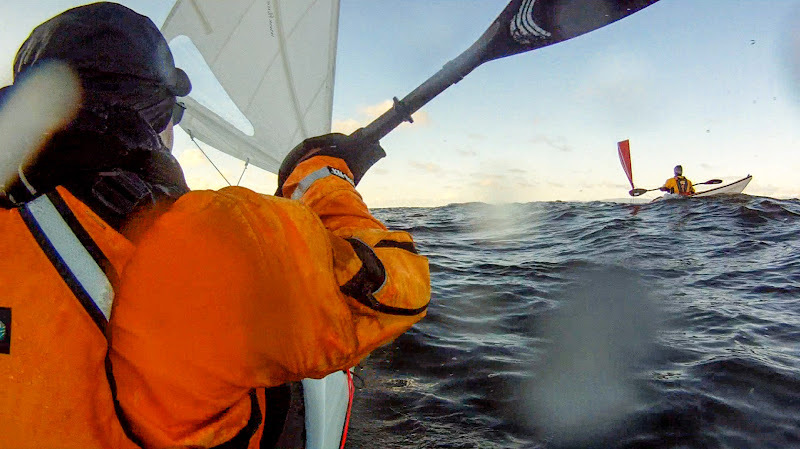 Sea kayaking with seakayakphoto.com: Trimming the sail, skeg and fore fin when paddle sailing. 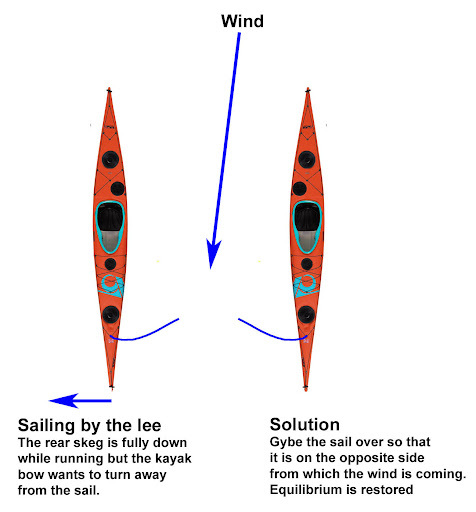 Douglas, I love your explanation on sailing in different conditions. Great to see your experience with the forward fin since there isn't much out there, yet. Interesting to see that the forward fin shines on short kayaks and not that great of an effect on longer ones. I find that deeper V keeled kayaks sail better at close reach than flat bottomed one, of course I have no forward fin. 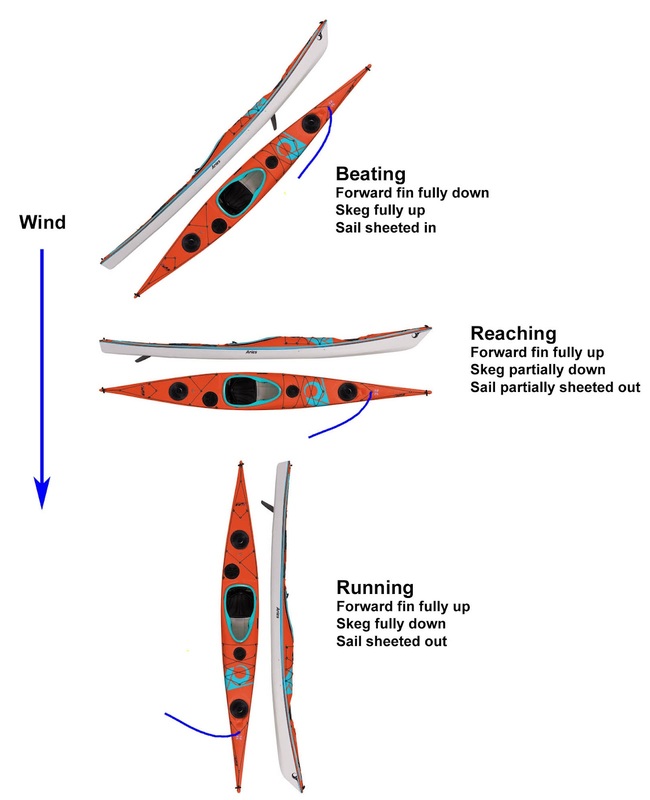 I don't find the "skeg slightly" down true on a beam wind (reaching) on all of my kayaks; some need it, others don't (like the Aquanaut). Last: broad reach. I love when my kayak accelerates on the wave and starts to broach to take the waves at shallower angle and accelerate even faster to eventually have the waves pass me underneath me. It upsets the purists with rudder kayaks that want to travel straight but this wiggling direction brings a smile to my face. Nice post and nice comment, Douglas and Damiano! With your help I'm learnig much more everyday. Thanks! Cheers from South of Brazil!